1995 Illustrated book ‘Fuchsias: the complete Guide’ by Edwin Goulding. Since September 2000 annual exhibition of Artworks. Since October 2000 annual exhibition for the Society Floral Painters at Mottisfont Abbey. May 2009 ‘Artist in Residence’ Suffolk Show. August 2010 contributed to ‘For the Love of Flowers’ Awarded ‘Botanical Excellence’. 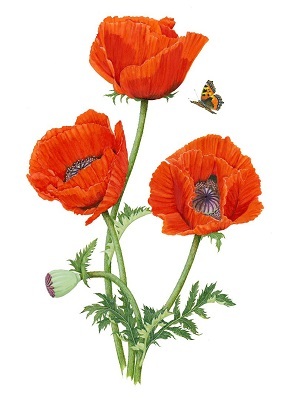 2011 Founder member of the Iceni Botanical Artists.